Illuminate your shower with stunning white lights to achieve a spectacular visual effect. The low consumption LED lamps create a column of water and light with a diameter of 240mm that operates perfectly with 3-bar pressure. Comes with an option of a ceiling or wall mounted arm. 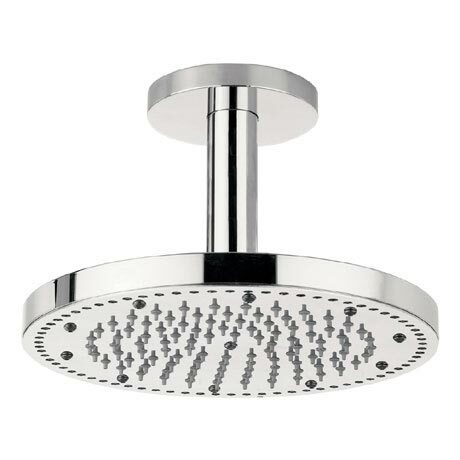 Manufactured from solid brass this stunning overhead shower is guaranteed for 10 years.